The sci-fi fairytale mash-up continues as we explore Princess Winter's story. I can't wait to see what happens next....I have been anticipating this novel for the past 10 months. Have you pre-ordered your copy yet? 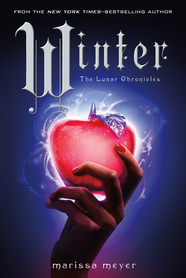 I haven't read any books in this series but I've heard great things :) I hope you enjoy Winter when it releases!